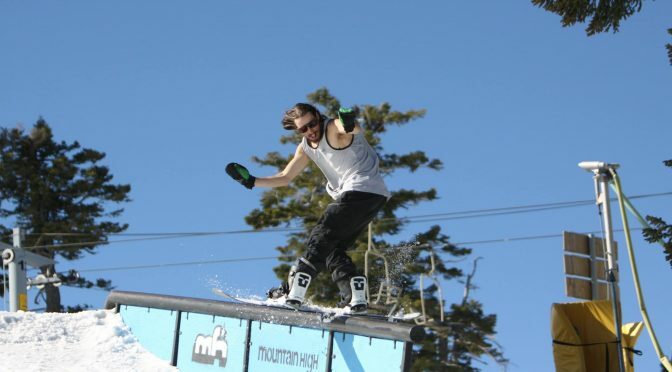 Wrightwood, CA – Mountain High in Southern California will host its inaugural March Radness snowboarding competition from 10 a.m. to 3 p.m. this Saturday at its West Resort. March Radness consists of 32 riders, randomly paired together to compete in a head-to-head game of YETI. The rider with priority calls both the feature and the trick that will be performed. If successful, the next rider must land that same trick or receive a letter (like the basketball game of HORSE). The first rider to get all four letters in YETI is out of the competition. There are only two rules for this snowboard comp. 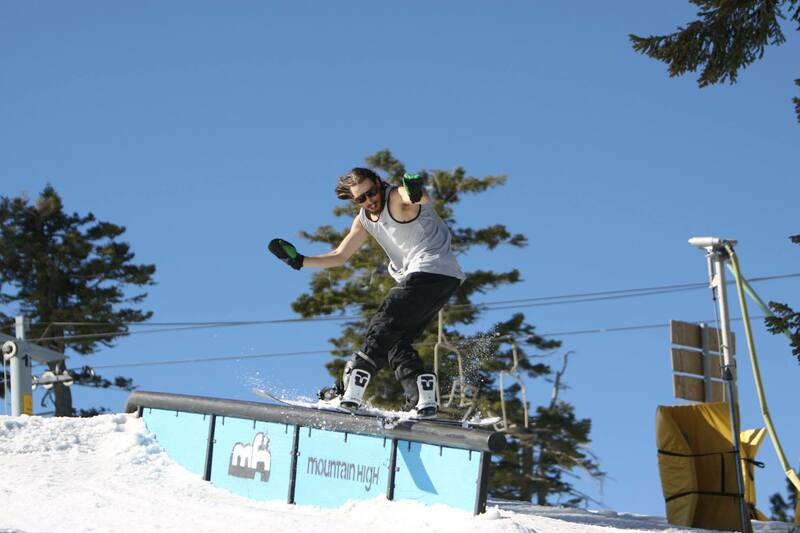 First, the rider must land clean tricks with no hands touching the snow or reverts on landings. And finally, the rider cannot perform the same trick twice per round. If both riders successfully make the same trick, the rider with priority chooses again. However, if that rider fails to make the designated trick, then he or she loses priority and the opposing rider chooses. Once the word YETI is spelled, the game is over and the winner advances to the next round. 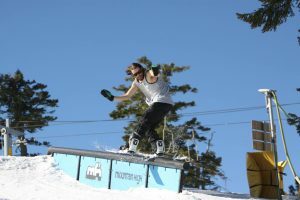 The last snowboarder standing will win $500 cash and prizes along with staking claim to the inaugural title of March Radness champion. Event registration runs from 9 to 10 a.m. Saturday at Mountain High’s West Resort base lodge. The riders meeting begins at the Playground promptly at 10 a.m. for competitors to meet and review the contest rules. March Radness begins directly after completion of that meeting in the same area. The entry fee is $10 and a competitor lift ticket will cost $25. March Radness will be an open division format with no age or gender brackets. To register for March Radness, click here.